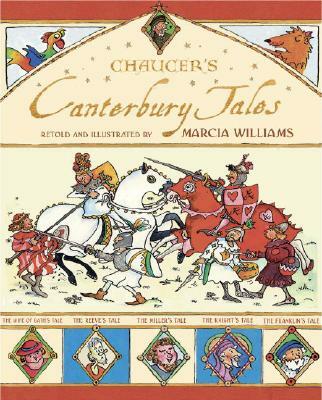 Marcia Williams retells nine favorite Chaucerian tales in her witty, engaging comic-strip style. Step back into the Middle Ages for a boisterous, bawdy storytelling session led by the one and only Chaucer. Marcia Williams uses her signature comic-strip format to animate nine Canterbury classics, including "The Clerk's Tale," "The Miller's Tale," and "The Wife of Bath's Tale." Interspersed with her lively narrative and running side-commentary are bits of dialogue from the original Medieval English text, bringing the essence of Chaucer's colorful humor to modern readers in an engaging way. Marcia Williams's retellings of classics for children include CHARLES DICKENS AND FRIENDS, GOD AND HIS CREATIONS, and TALES FROM SHAKESPEARE. She lives in London.